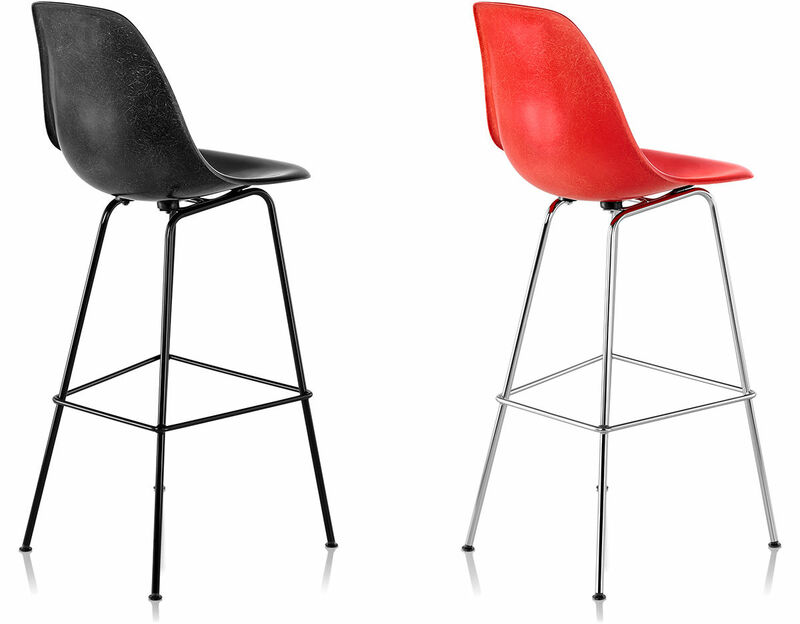 The Eames stools represent the evolution of Charles and Ray Eames' iterative process, which continually pushed the boundaries of what a single-shell chair could be. 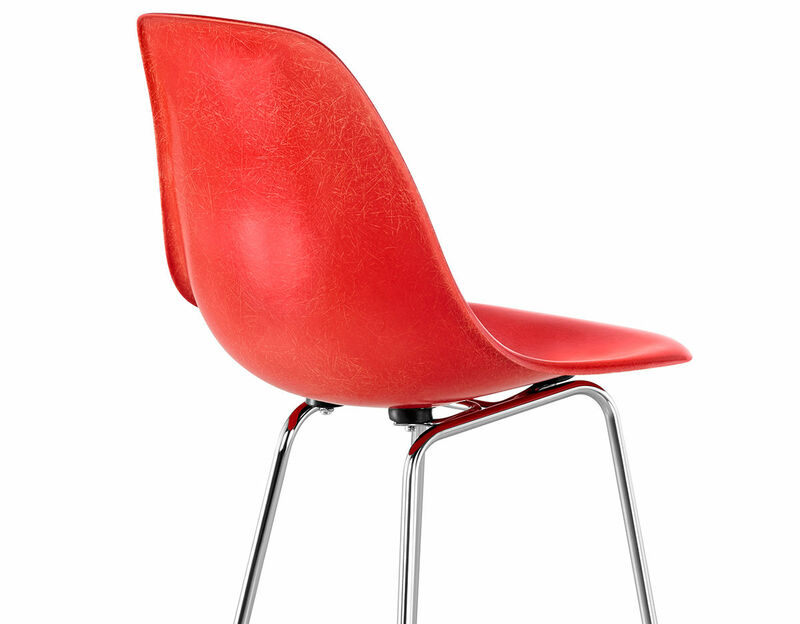 The seat and back are formed of a single piece of molded fiberglass with waterfall edges. 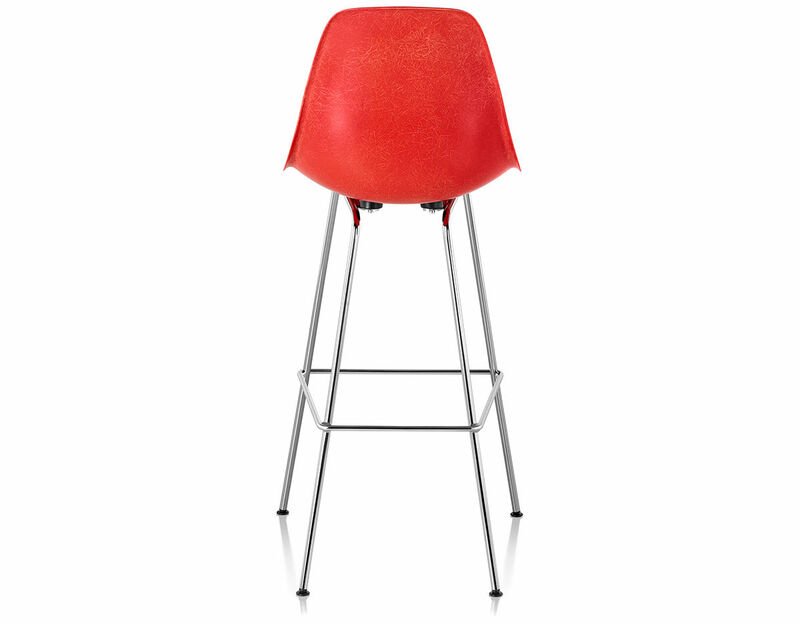 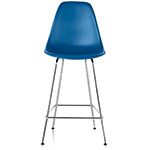 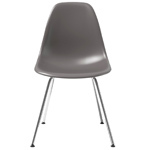 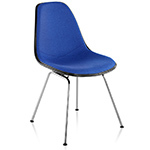 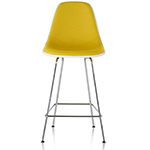 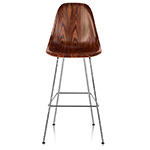 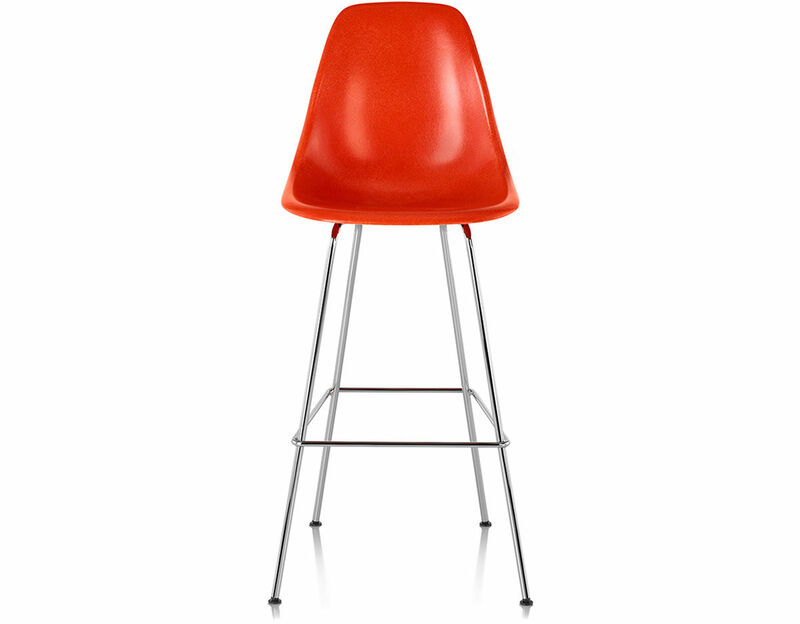 The Eames fiberglass stool is offered in a choice of base colors and the shell can be specified in a variety of archival colors. 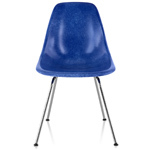 The fiberglass shell can also be upholstered in an array of textiles. 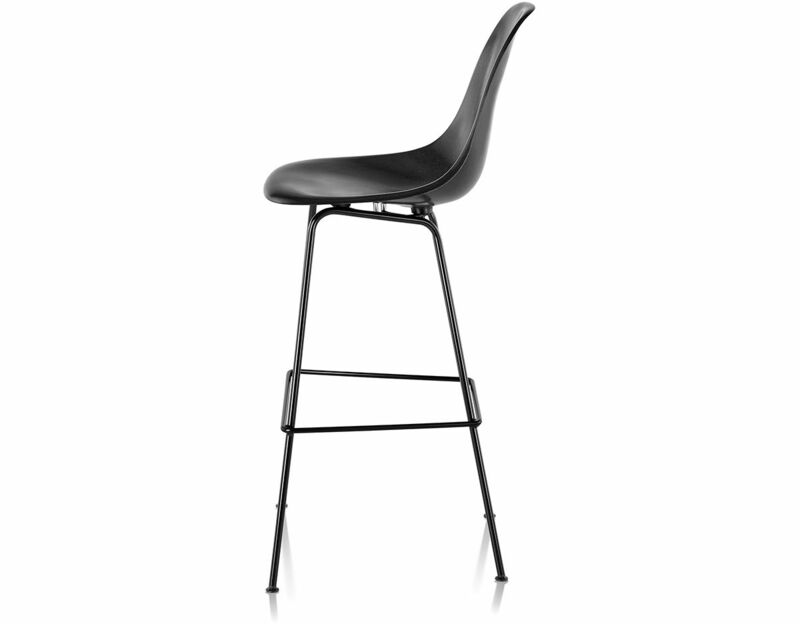 Black and chrome 4-leg bases are provided with black glides while the white 4-leg base has white glides.